Upside Motion - Pilates, Xtend Barre, Aerial, Yoga | Perk Of The Month: Refer A Friend! Perk Of The Month: Refer A Friend! To celebrate our Upside Life, we will be launching new monthly earning activities & perks on Perkville. Do watch out for more surprising delights coming your way! 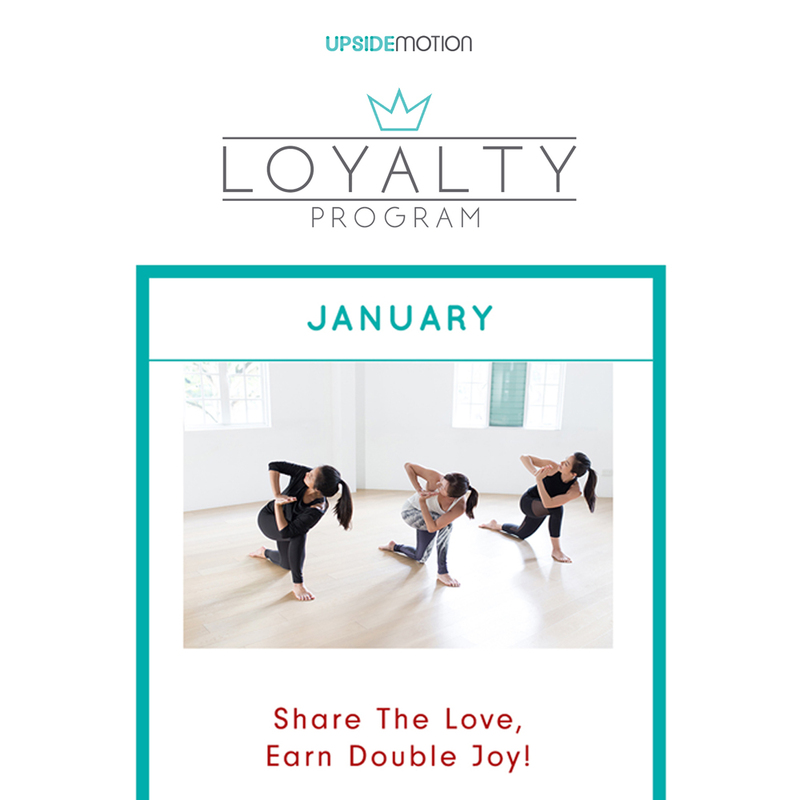 Only in January, you will be earning double points: 100 Upsider Points (U.P: 50 Points) for every successful 5-Class Experience Pass referral made through Perkville Loyalty Program.